There’s no doubt that the first of Jo Nesbo’s novels to be adapted for the cinema will be remade by Hollywood, if the American version of Stieg Larssons The Girl with the Dragon Tattoo (2009) is anything to go by it will be a complete waste of time and money. Described by critic Jeff Sawtell as a satire of corporate capitalism the Morten Tyldum directed Headhunters (2011) is about an accomplished Norwegian headhunter Roger Brown (Aksel Hennie, who you may have encountered in Max Manus 2008) not the most likable character but one that appears to live a life of luxury, residing in a architectural designed house and spoiling his beautiful Amazonian blond wife with expensive gifts and her own art gallery. But Roger is actually living well above his means so he subsidizes his opulent life style with a little art thief on the side. 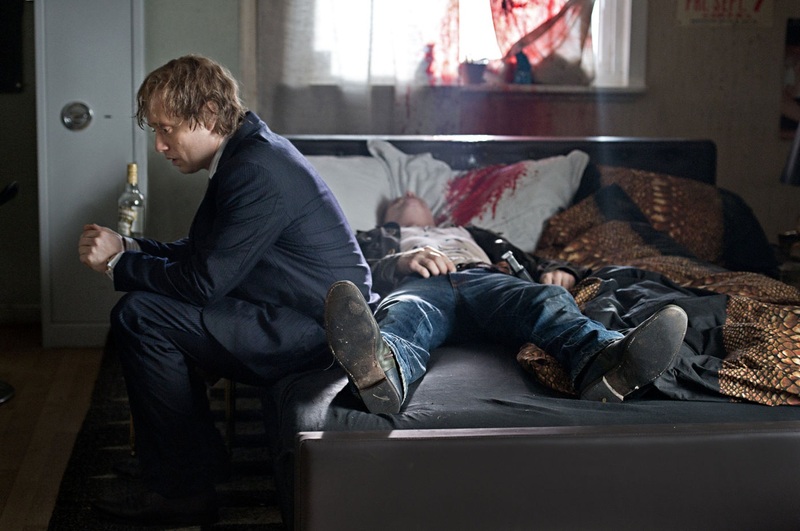 When Diana Brown (Synnove Macody Lund) introduces her husband to Clas Greve (Nikolaj Coster-Waldau, best known in this country for Game of Thrones 2011) a former mercenary in possession of a valuable painting by Rubens, he decides to remove the painting from its original owner and liquidate its value, but in doing so he discovers something that turns him into a fugitive. Nothing ever goes right for Roger Brown. Even the lovely Mrs Brown seems to be getting to close to Clas Greve. 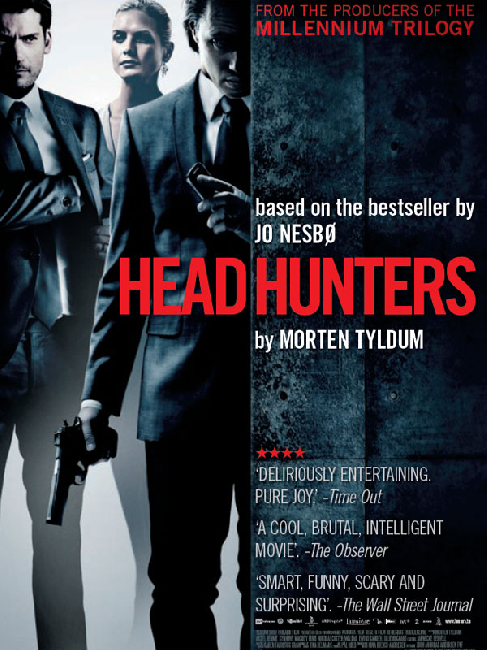 Although a simplistic version of Nesbo’s book its still a fast moving, exciting and believable thriller with twists and turns and one or two stomach churning moments and is a very welcome addition to a growing list of recent Scandinavian drama both at our local cinema’s and on our TV screens. Hopefully its won’t be long before Nesbo’s greatest creation, the flawed Oslo police inspector Harry Hole, is adapted for the screen, but while we are waiting we have Jackpot (2011) to digest.